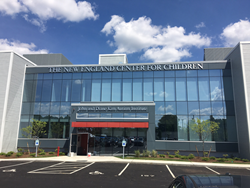 “The New England Center for Children is an innovator in autism education, and being part of their Board of Directors is an honor and privilege,” said Dr. Alan Lobovits. The New England Center for Children® (NECC®), a global leader in education for children with autism, announced today the election of Dr. Alan Lobovits to the Board of Directors. Dr. Lobovits is a pediatrician with Southboro Medical Group and an expert on developmental disabilities in children. Dr. Lobovits has been a pediatrician with Southboro Medical Group since 1983 and has extensive experience working with children with developmental disabilities. He is affiliated with multiple hospitals in the area, including MetroWest Medical Center. Dr. Lobovits received his medical degree from State University of New York Downstate Medical Center College of Medicine, interned at Maimonides Medical Center and held residency at Mount Sinai Medical Center. He is a Robert Wood Johnson Fellow at Johns Hopkins, and has served as President of Southboro Medical Group, as well as on the Boards of Southboro Medical Group, Reliant Medical Group, and Atrius Health.